If you have not noticed by the title of this website and the nature of the posts on it, I am an audio guy. For that reason, the first section I hit up of InfoComm13 was the audio section. I was expecting the latest and greatest of all the pro audio equipment. What I found was some new consoles here and there, and nothing but conference microphones. When I went in 2011, there were countless shotgun microphones, vocal microphones, and so much more. This year, it was all about wireless headsets, conference room table top microphones, and lavaliere microphone. 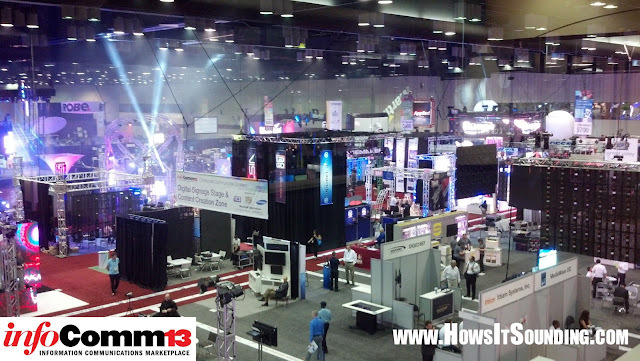 All the major pro audio equipment companies were there, but what they had to show was very disappointing. After seeing that the audio area was less than ideal, I decided to head over to the video/digital signage area. Everyone was LED this, projector that, and so on. 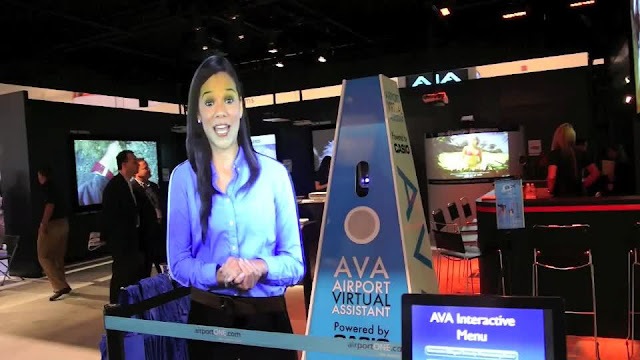 The most interesting thing was the hologram-like woman for airports was there. Talk about life-like! All she did was stand there and look nervous! (Apparently she talked to other people, but she ignored me). The display section was probably the most entertaining section of the convention. 3M, which I thought just made tape, had a very interesting and literal tabletop computer. I will give them credit: there were many large touch screen displays there, but none of them felt as smooth and finger friendly as this one. 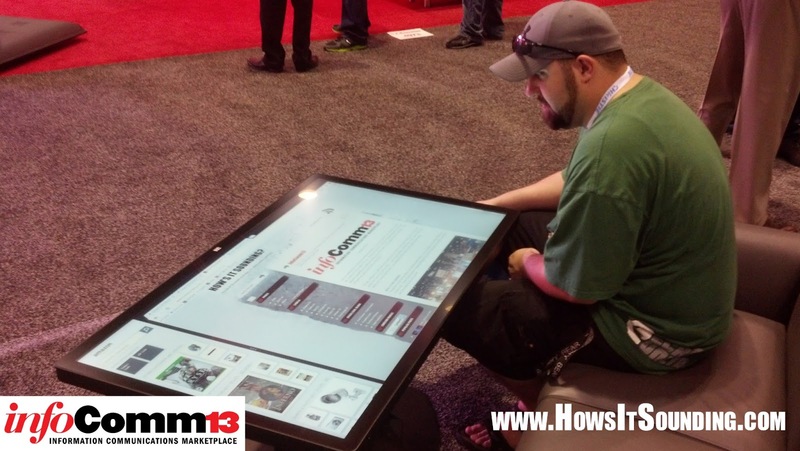 With most of the displays, my fingers would get stuck to the glass. However, while my friend checked out “How’s It Sounding?” on the big screen, the glass was smooth as butter to the touch! Remember in my last post about InfoComm11 when I mentioned free stuff? Last time I came home with tons of free swag. This time, I came home with about a fifth of what I had last time. Now I know I shouldn’t base a convention on free stuff, but come on; I am still using the pens from the convention two years ago, yet this time, I only found three pens. As for drawings, I only managed to find ONE place to put my business card. However, like that last convention, ADI had some of the best things. Last time they were giving away a 2011 Shelby GT500. This time, it was a brand new Cadillac CTS-V Coupe. 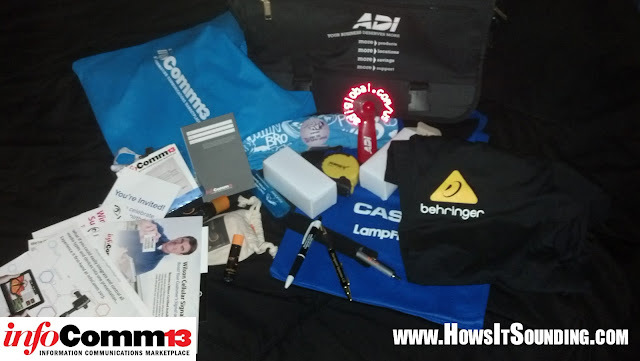 However, I opted for the nice shoulder bag and fans with LED branding in the blades. (Last time it was flashlights which I thought were more practical). 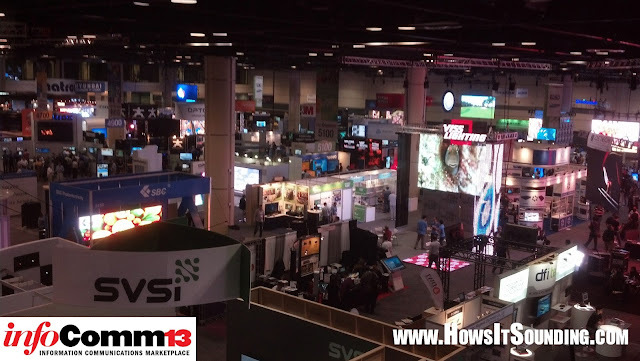 To sum it all up, I was quite unhappy with InfoComm13, especially with the audio side. There was not enough of what I wanted to see. Does that mean it was bad for everyone? No, but it was not for me. Will I be going back next time it is in Orlando? Of course. I am put off by this year’s convention, but the one in 2011 was so good, it still makes up for it.